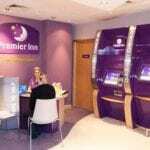 Great value just moments from Liverpool airport with all the Premier Inn features you know and trust. 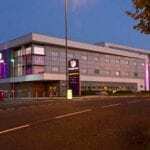 Fantastic value and free parking just 5 minutes from John Lennon airport, the Premier Inn delivers on price, location and quality. 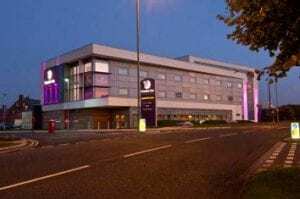 Less than 5 years old, with clean secure rooms, the Premier Inn may not have a host of fancy bars, a pool and a gym, but then you are not paying for that either. 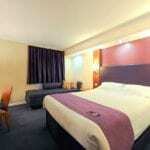 Friendly staff, comfortable rooms and great prices are the ticket here. 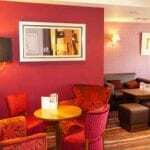 For breakfast and dinner the Thyme bar and restaurant offers great value in a comfortable, bright room. 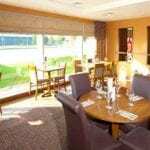 The buffet breakfast is fantastic value, with a choice of continental or full English. Evening meals include family favourites, steaks, hunters chicken, pizzas and some mouth-watering desserts. Rooms are en-suite with doubles or twin available, all rooms have a work desk, wardrobes, flat screen TV and air conditioning.